4x4 off-road & utility vehicle suspension & leveling kits. Zone Offroad Products was developed to bring you made in the USA, quality offroad products, at the BEST VALUE in the industry. Zone Offroad is a new engineering & manufacturing division of Sport Truck USA with over 20 years of experience serving offroad enthusiasts. 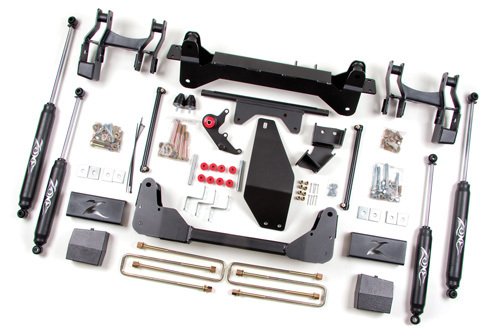 Competitive pricing, quality parts, fast shipping, and unmatched customer service is what Zone Offroad is all about. Competitive Pricing - Our kits have been designed to fit your budget without sacrificing quality or performance. Quality Products - Zone products are manfactured in the USA with premium materials and skilled workmanship. Designed for Easy Installation - Full 3D modeling is used to ensure an easy installation and long term performance.